PUTRAJAYA: The National Commodity Policy will be improved with the inclusion of a new direction and targets for the nation’s agro-commodity industry, says Primary Industries Minister Teresa Kok. She said efforts to determine the direction and initiatives to develop the industry in the short and medium term will be made through settlement sessions between the ministry and the relevant agencies and other interested parties. She said the sessions will seek to obtain views and proposals from the industry, as well as oil palm, rubber, cocoa, pepper and kenaf smallholders, with the 11th Malaysia Plan Mid-Term Review (11MP MTR) as the main reference document. 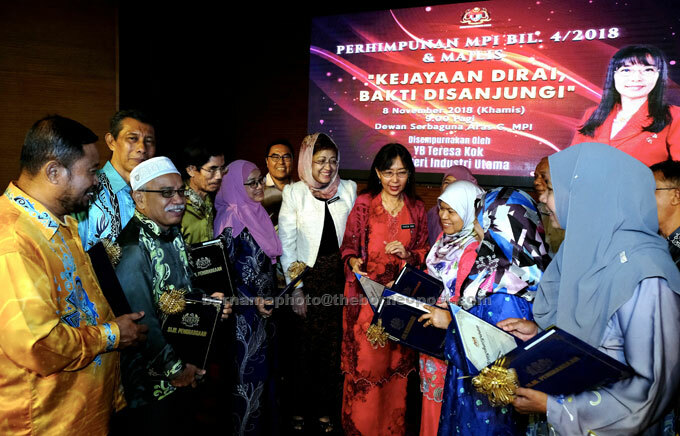 The sessions will also review the achievement of the ministry’s targets for 2018 and its strategies, targets and action plans under the 11MP MTR, she said. “The sessions will also set the long-term direction for the agro-commodity industry covering investment promotion, identification of opportunities and new commodities with potential as new sources of wealth for the country,” she said at the ministry’s monthly assembly yesterday. The National Commodity Policy 2011-2020 targets to raise revenue from the nation’s commodity exports to RM242.5 billion by 2020. She said the ministry will also launch a “Love Malaysia’s Palm Oil” campaign to raise public awareness on the benefits of palm oil products. “The government’s efforts to address the global anti-palm oil sentiment will be meaningless if Malaysians themselves do not use the products themselves daily at home,” she added.